He's cute. He's purple. A nasty burp could send those in his vicinity to the burn unit. 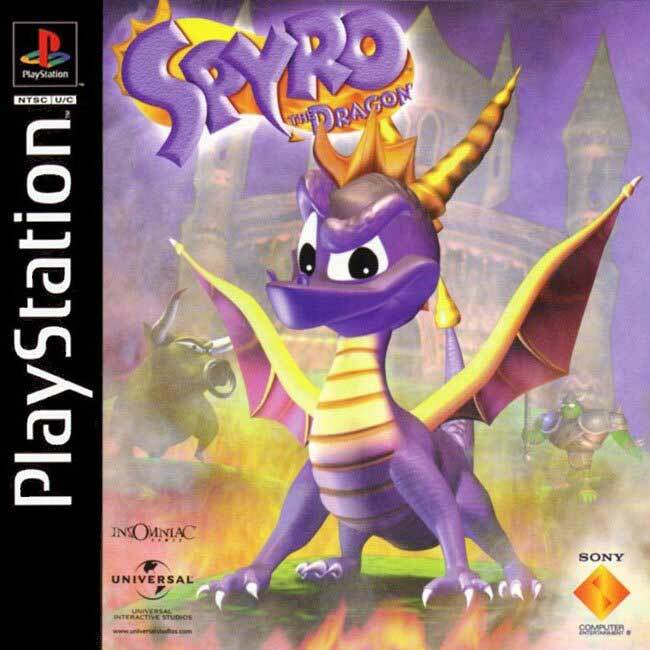 Meet Spyro, the adorable and mischievous little dragon on a gigantic adventure. Gnasty Gnorc decides to make the dragons pay for all of the insults they have directed his way. After dabbling in magic, Gnasty turns the gems that litter the world into his soldiers and changes the dragons into crystals. However, the magic spell missed a young dragon named Spyro. In his debut adventure, Spyro must free his fellow fire-breathers from their crystalline prisons that are located across six worlds. This is my childhood right here I've played Spyro so many times and you can't go wrong with the first game there's alot of fun to be had I highly recommend trying this out if you never played Spyro.And this one is in very good condition and arrived on time thanks Lukie Games. You just can't beat Spyro. Had this game as a kid, know it like the back of my hand. Great to have it again in such awesome condition, works like a charm. Its just as I remembered it!! The disc came in perfect condition! I'm so happy! The game shipped quickly and the quality is great so far. Bought it for the wife, she is not much of a gamer but loved it so much she had it beat in a week!! This is one of the first games i remember playing a kid.. BTW if you have a PS3 you can download this for like $5 on PS Store.. just saying.